Nice colour but prefer my GT cars a bit brighter. 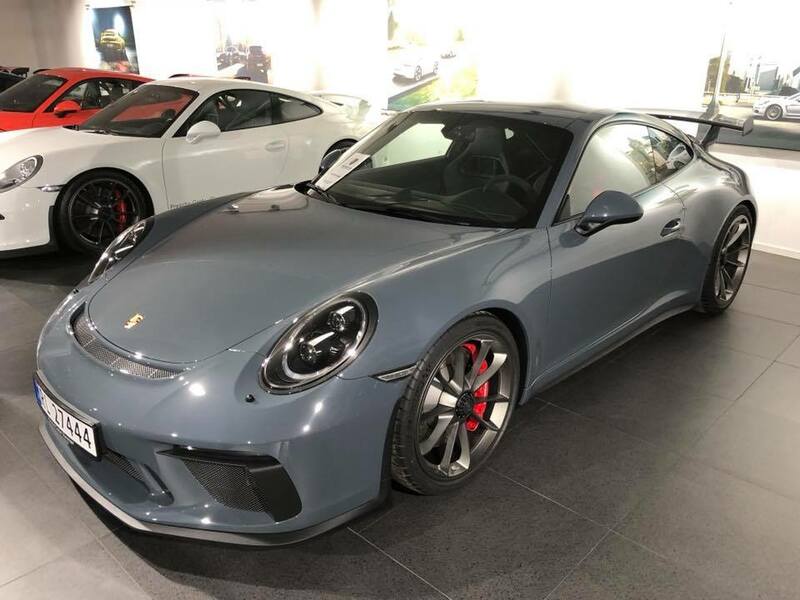 wife " yes dear you can have a new car but it must match the blinds"
husband 'Ok Dearest its only cheap as its only got 2 letters and 1 number in its name"
wife "Oh thats good dear as long as your not buying a Porsche as they are expensive"
Top marks for picking an unusual color and that car looks like it's made of glass. Super shiny. that is bloody lovely. really really nice. Not so good in the second photo. Need to see one in the flesh. Graphite Blue is a proper marmite colour for me...had a Boxster loan car in it and really couldn't decide if I liked it or not. I think it's a real shame that all of the new colours Porsche has introduced seem to be bad variations on popular PTS colours. Those are at least my opinions! I'd like to see them go back to the vivid colours of the 70's cars. I like the purple- no idea what it’s called but there was one at OPC Leicester last month. 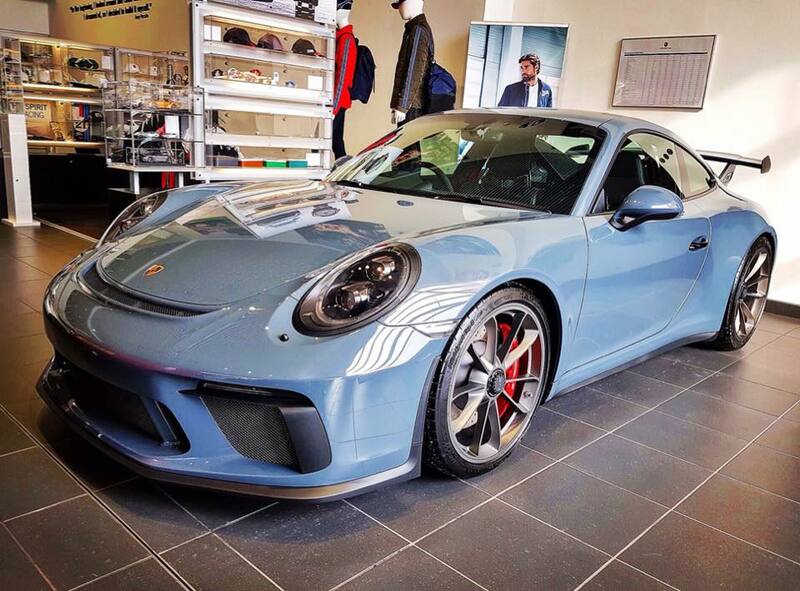 I like it, but then again I'd take a 991.2 GT3 in pretty much any colour. Yes I saw one at Silverstone and wasn't that sure about it. Crayon I did like though. Here are some photos taken at Studio 434 of Shamis car. Back in March , just a few days old. Better lighting shows colour off.